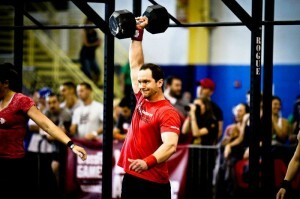 I discovered CrossFit in February of 2006, but I’ve participated in sports and athletics my entire life. In high school, I played Varsity soccer at Holy Ghost Prep for 3 years and ran track, competing in 100m and 200m sprint events. I qualified for districts in both sprint events and participated in the 4 x 100m at the Penn Relays my sophomore, junior, and senior year. I continued my sports journey in college, playing Varsity soccer at Marymount University in Arlington, VA where I got my degree in Communications with a minor in Health and Fitness Management. 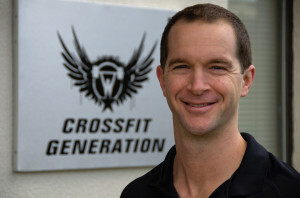 Today, I’m the co-owner of CrossFit Generation with my wife, Jocelyn and CrossFit has quite literally changed my life. I’m able to coach individuals everyday and enable them reach levels of strength and conditioning they never knew they could and share a new vision of “fitness” that CrossFit has given me. I’m also able to remain competitive through the sport of CrossFit and since 2009, I’ve competed with our CFG team at the Regionals level four times. Jocelyn and I live in Horsham, PA with our children Emma and Brady. Interesting Fact: I once sang on stage with John Mellencamp in Holmdel, NJ in 1998 in front of 20,000+ people.